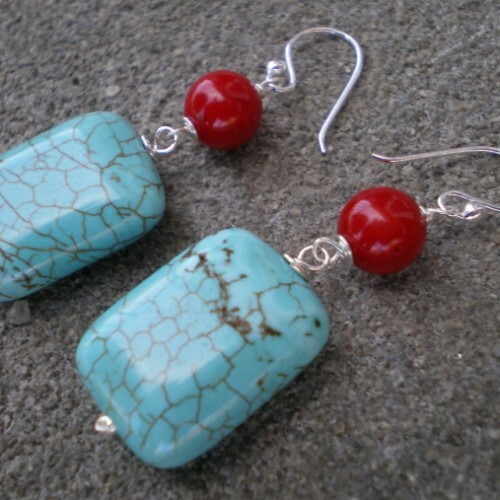 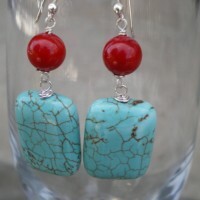 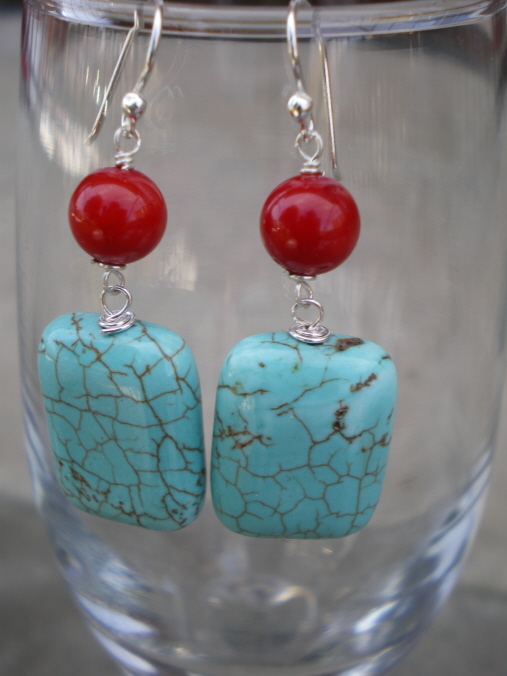 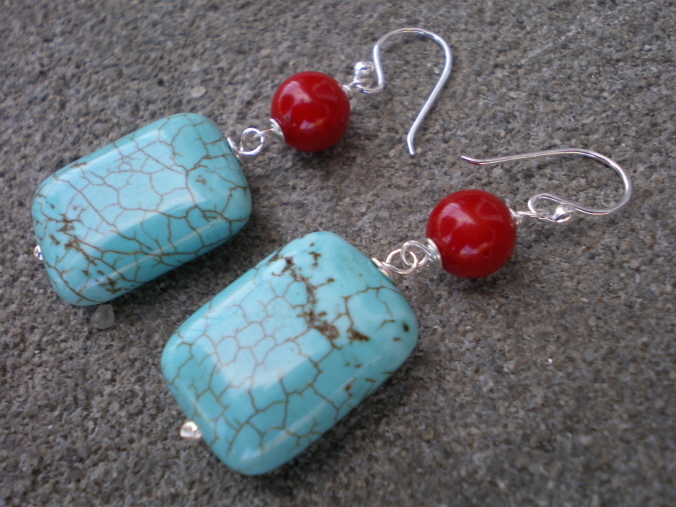 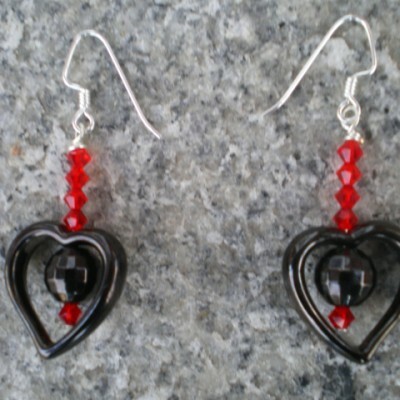 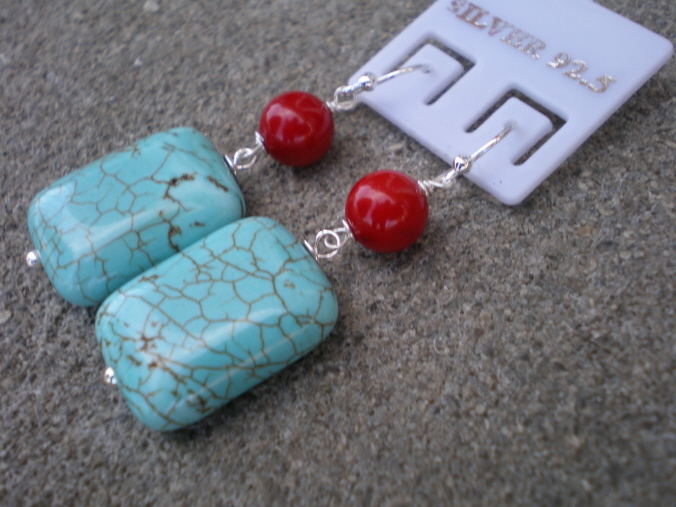 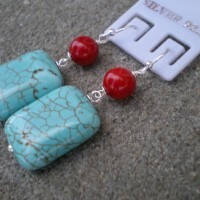 Be the first to review “Turquoise and red coral earrings with sterling silver ear wires” Click here to cancel reply. 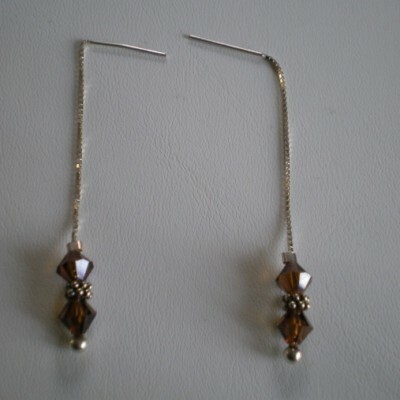 Purple and Lavender dangle earrings. 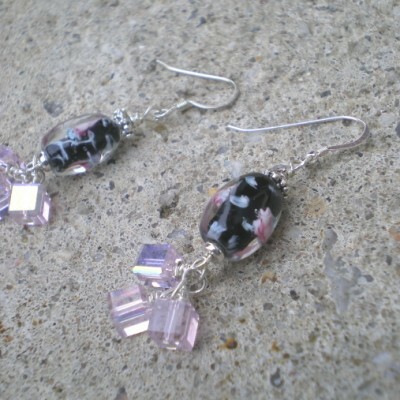 Lavender cube dangles,floral lampwork beads.